It looks like WBO welterweight champion Terence Crawford could have a huge potential fight on his horizon. While talks of a possible fight against Luis Collazo don’t seem to be making progress, a new name has emerged in the mix. 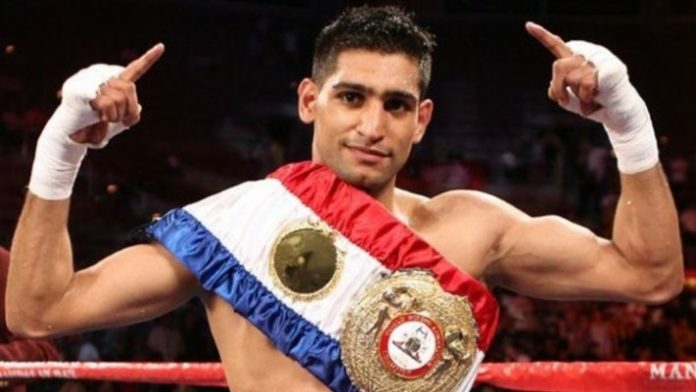 According to several reports from ESPN, Daily Mail, and Boxing Scene, Amir Khan has been offered a fight with Crawford. Khan has been offered up to $5 million to fight Crawford on March 23rd for ESPN pay-per-view (PPV) from New York City’s Madison Square Garden. He was previously involved in discussions to face Kell Brook next year, however, the new title opportunity might take over Khan’s desires. “Fighting for a pound for pound title would be amazing. To win it would be even better so I think I’m in a position where I can get that fight with the pound for pound champion at the moment,” Khan said. What do you think of a potential Khan vs. Crawford match-up?